Depending on the roofing material you want to install, you can spend as little as $4,500 to as much as $30,000. Today, the sheer number of options to choose from can be staggering. We have done all the research to help you select the best roof for your needs. First, lets go over sloped roofing options and then discuss those appropriate for flat roofs. For each, we will focus on installation costs, durability, longevity, energy efficiency, as well as aesthetics. 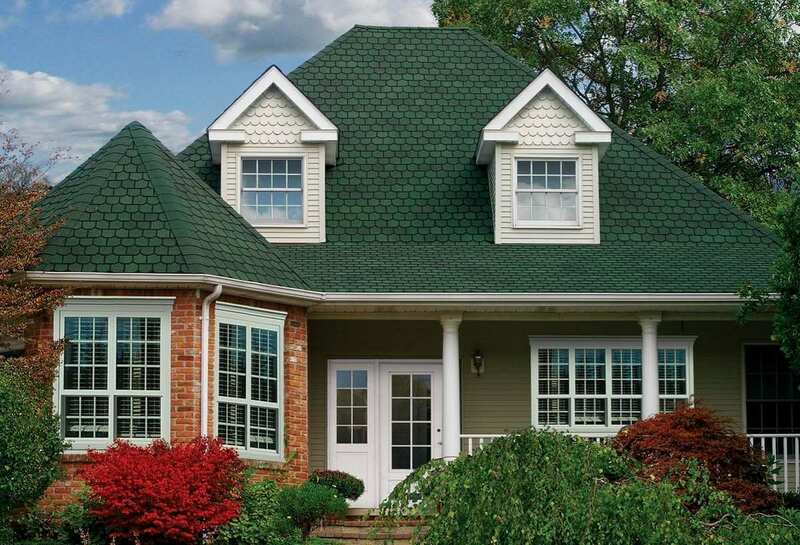 Metal roof shingles offer an unbeatable combination of traditional style and exceptional durability. They replicate the appearance of classic shingle roofing, while giving you all the strength and longevity you’d expect from metal. You can purchase them in a wide range of colors, and they can be used on almost any roof type. 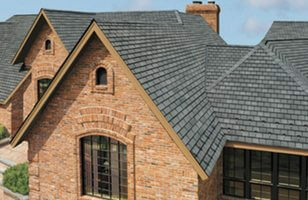 What makes this one of the best roofing options is premium protection against inclement weather. Most brands are guaranteed to resist winds of up to 120 miles per hour and have a high impact resistance rating. This makes them ideal if you live in an area prone to hail or strong thunderstorms. They can also give you great peace of mind when it comes to fire resistance, since they are non-combustible. Moreover, metal doesn’t crack or rot, and is designed to be rust resistant. As for warranties, they vary slightly from one manufacturer to another, but many come with fifty-year general guarantees. The paint finishes may be covered by a separate warranty, however, that is shorter than the life of the shingle. If you’re comparing energy savings, metal can reduce cooling costs in the summer months by up to 20% over asphalt shingles. In the winter months, they will also reduce snow and ice buildup by reflecting the sun’s heat. Another highly attractive feature is low maintenance. The only thing you may need to do occasionally is hose off debris or dirt, to keep it looking great, but that’s about it. 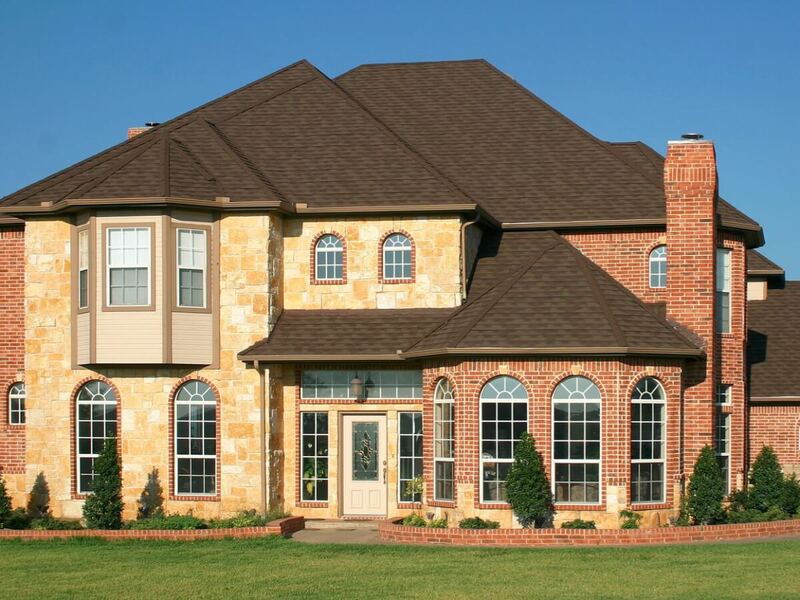 Keep in mind that this roof can pay for itself over time, because of its long life and low maintenance costs. However, to recoup your investment, you’ll have to plan on living in your home for at least 5 years. If you’re thinking of selling in the near future, it’s likely you won’t see a high ROI. If you have your heart set on a classic looking exterior, you should consider architectural shingles. This is a great roof for homeowners who want the best value. They look better and last longer, are thicker, have a more dramatic texture and are of better quality than standard 3 – tab shingles. Architectural products are as versatile as standard ones, fitting in beautifully with a wide array of home styles. However, their higher durability ratings and stronger aesthetic appeal set them apart. From contemporary homes to cottage and Victorian styles, almost any home can be elevated with an investment in higher-end shingles. Most are rated for wind resistance up to 120 miles per hour. Where the average shingle roof will last about 8-12 to twenty years, architectural shingles routinely come with warranties of up to 30 years. In terms of energy efficiency, they also offer a slightly higher rating than traditional ones. Still, architectural shingles require much the same maintenance as standard 3-Tabs. They can be susceptible to mildew and ice damage. Also, keep in mind that all asphalt shingles are one of the least energy-efficient and earth friendly materials. They cannot be recycled and end up in our landfills at the end of their service life. All these additional benefits come with a higher price tag than 3-tab shingles. You can expect to pay $3.5-6.00 / sq.ft. The final cost depends on product type (basic or premium) and your geographic location. 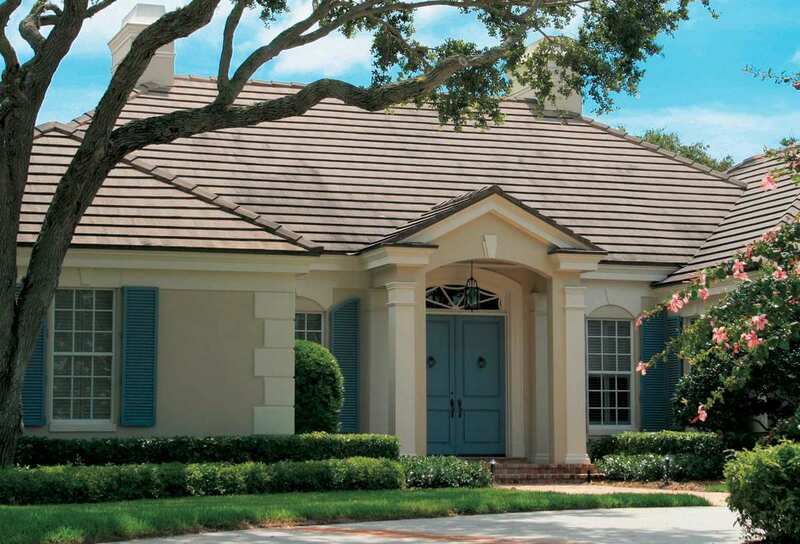 If the romantic look of European roof scapes appeals to your sensibilities, clay tiles may be just the way to add some flair to your own home. 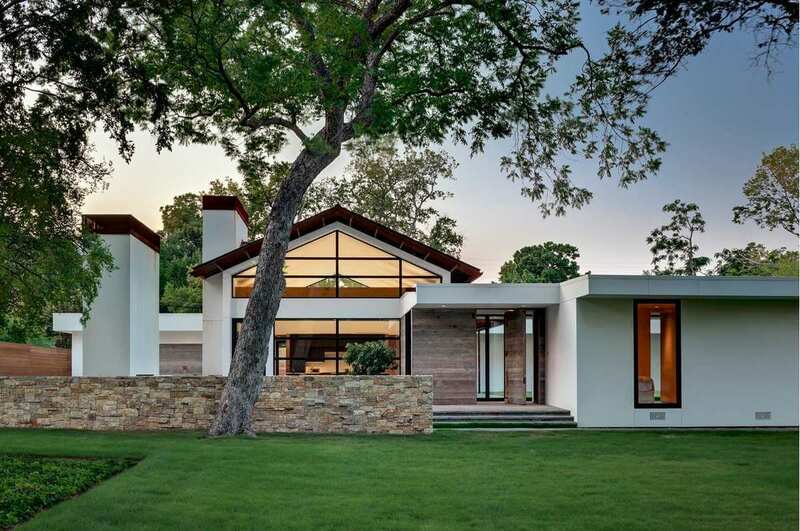 It is generally connected with Spanish Mission, Italian, American Southwestern and Mediterranean-inspired architecture, but can also be a beautiful option for more modern homes. High moisture, extreme weather, fire and insect activity are no match for the durability of a clay tile roof. In fact, the NAHB and NACHI both rate it with a life expectancy of over one hundred years. Most varieties will outlast every other part of the roof. Moreover, their natural thermal resistance and the method of installation makes them a strong contender for green, energy-efficient building. There are also has some drawbacks to consider. Tiles are very heavy, so you’ll probably need to invest in extra reinforcement to make sure your roof is up to the task of bearing this load. You’ll also need to exercise extreme caution when walking on the tiles, as they can be broken easily under the weight of foot traffic. 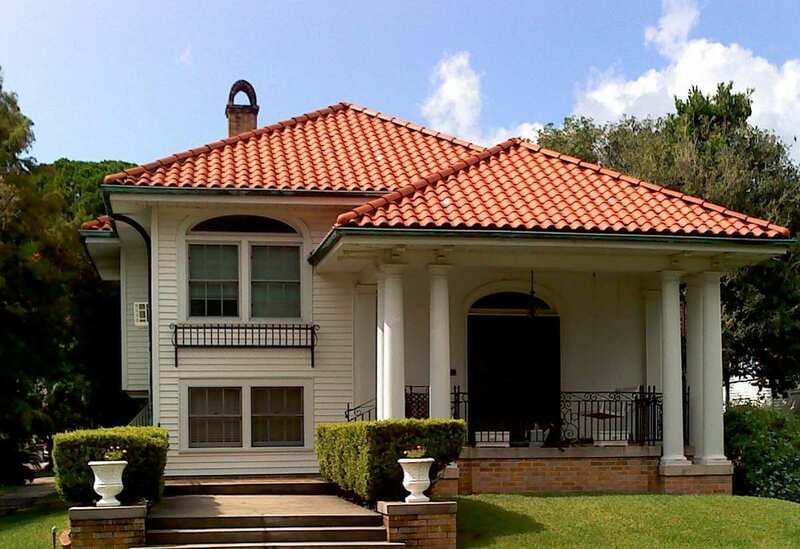 When you start looking at pricing, you’ll find that clay tile is one of the most expensive roofing options on the market. Expect to spend at least $12-18 / sq. ft.. 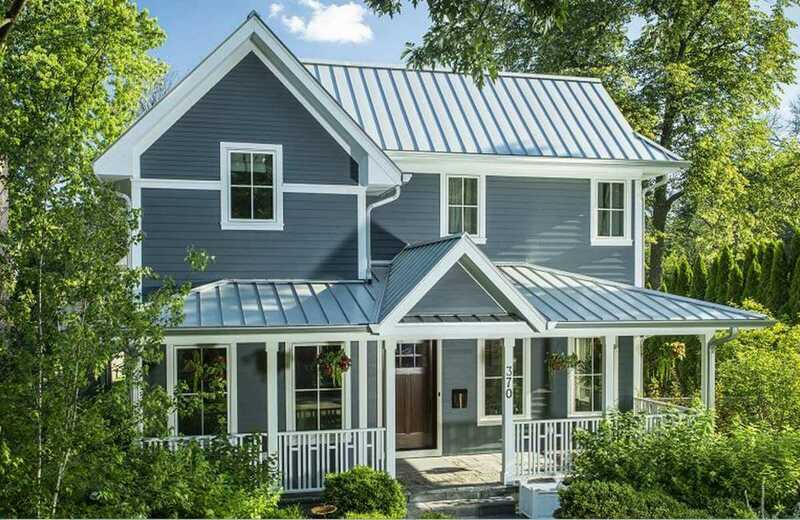 When you think of metal roofing are you imagining vertical panels with prominent seams running upwards to the peak of the roof? If so, you’re envisioning a standing seam roof. It was once used primarily for agricultural and industrial buildings. 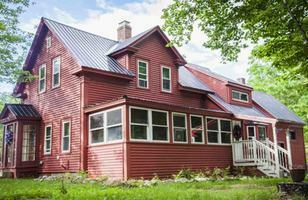 However, today standing seam is quickly becoming popular among residential builders. 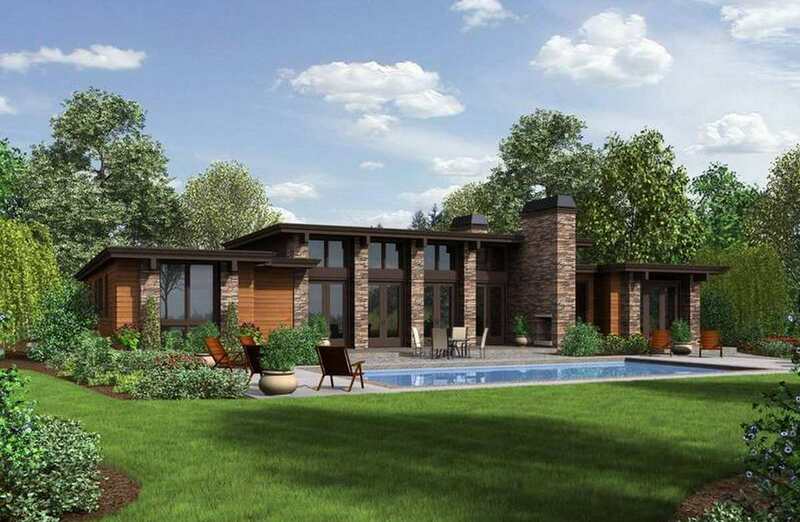 It is equally suited to ultra modern architectural styles with industrial influences, as it is to rustic cabins and farmhouses. It is a great choice for roofs with a higher pitch, but could present problems at a pitch of 2:12 or less. If you live in an area prone to high levels of snow fall, standing seam may be the best option at your disposal. It offers superior snow-shedding capabilities due to the flat panel and vertical seams, which allow snow to slide easily down the roof. Moreover, panels are highly resistant to rust, will not crack or rot and are fire resistant. Because they reflect the heat of the sun, they can also substantially reduce cooling costs in the summer. This same quality allows them to aid in melting of snow and ice dams in the winter. As a result, you’re likely to enjoy year-round energy costs savings. 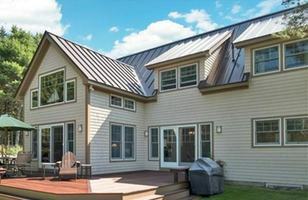 Standing seam can also expand and contract with changes in temperature. This can create the need to adjust fasteners from time to time, a minimal maintenance requirement compared to other popular materials. With regular attention paid to fasteners and finish, the lifespan of this roof is usually predicted to reach at least fifty years. Most products come with full fifty-year general warranties. Though this material is becoming more popular with every passing year, limited number of qualified contractors translates to higher installation costs. You can expect to pay $7-13 / sq.ft..
For the Old World elegance of tile in more subdued, classier color schemes, you may want to consider a slate roof. It is made from slivers of real rock and stone, a naturally mined product and can be installed in a wide range of patterns. 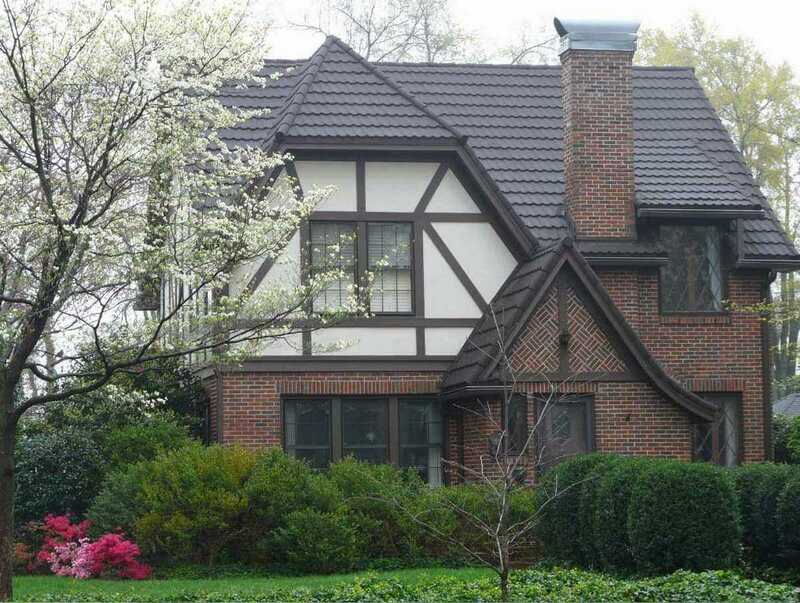 French Revival, Tudor and other classic European home style look beautiful with a slate roof. At the same time, it can be right at home on a modern home, a cottage or as part of a mixed architectural design. Much like clay, slate is impervious to moisture, insects, fire and inclement weather. Similarly, it will likely require extra reinforcement to accommodate its considerable weight. A slate roof is one of the most durable offerings on the market, lasting up to 150 years; far longer than the underlayment on which it’s installed. It is also highly energy-efficient. Slate is positioned far on the high-end of the price spectrum. You can expect to pay at least $20 and up / sq. ft.. If you go for it, you will want to invest in regular inspections for the underlayment every eight to ten years to be sure the roof remains in good condition. Cleaning gutters and other maintenance should be completed with care, though, as slates can also shatter under the weight of a person walking on the surface. Do you long for the look of natural slate but are put off by some of its disadvantages? If so, composite slate roofing may be the ideal option for your home. Traditional, European-inspired, modern and contemporary home designs can all be complemented beautifully with the addition of synthetic slate. Durability varies, because there’s no one material used to simulate the look of natural stone. 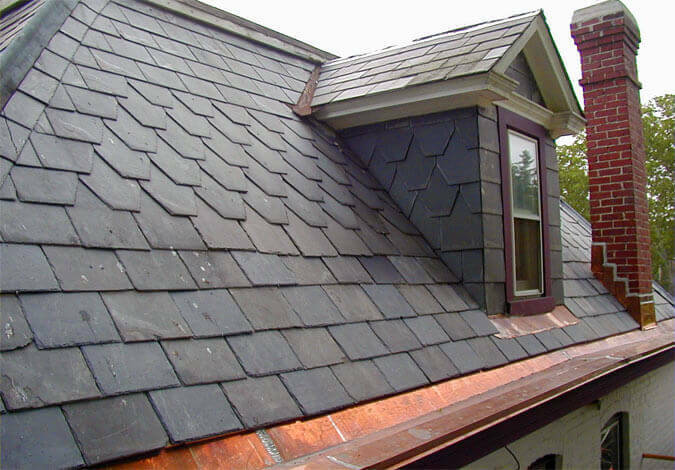 Depending on the brand and manufacturer, synthetic slate could be made of steel, asphalt, rubber, plastic polymers or even clay. Because the composition will vary, so will the durability, life span and warranty terms of a specific product. Energy efficiency ratings will also depend upon the brand you choose. The primary drawback is that some products are new to the market, like polymer/rubber blends. This means they are relatively untested in real-world applications, though they have been subjected to accelerated element testing by the manufacturer. Also, some simulated products are more convincing than others; some just may not look all that much like real stone once they’re installed. To get the best product, it’s a good idea to research particular brands and manufacturers. You can enjoy the beauty and durability of faux slate for a fraction of the cost of its authentic counterpart. Expect to pay $7-9 / sq.ft. If you think of garden sheds and outbuildings when you hear the phrase “corrugated metal roofing,” you might want to think again. While it’s true that this roof was once available in only a limited range of colors and was almost exclusively used for industrial or agricultural applications, those days are gone. 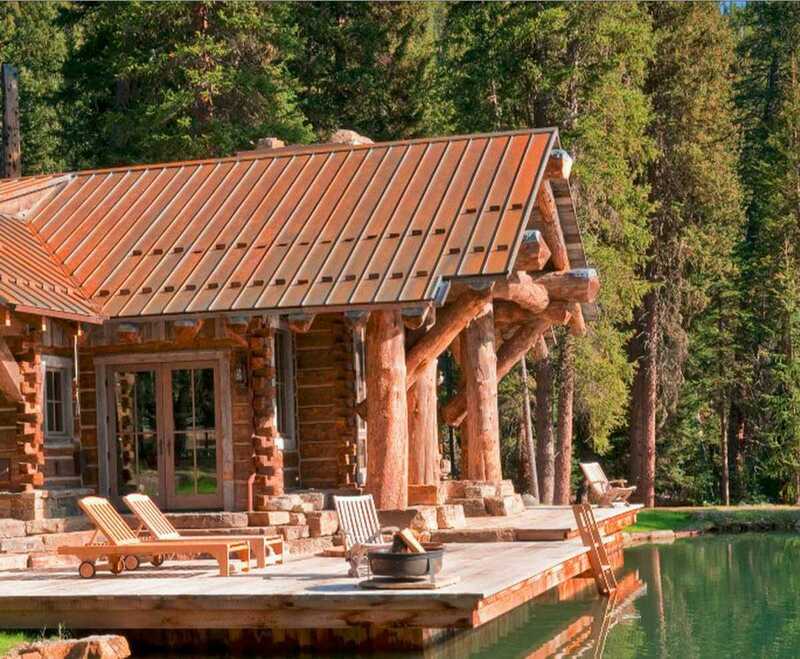 Corrugated metal is equally at home on log cabins and rustic homes as it is modern and contemporary structures. It’s durability in a variety of weather conditions makes it a great choice in almost any climate. It is resistant to not only insect activity and moisture damage, but also rotting, rust and fire. In fact, it boasts a Class A fire rating, the highest possible for building materials. Moreover, it is considered a “cool roof” option, meaning it reflects heat to reduce energy costs. In fact, depending on the type you choose, you may even be eligible for tax credits. Out of all metal roof options, corrugated panels have the lowest price. You can expect to pay $4-5 / sq. ft.
For the most part, maintenance will consist of hosing off the roof to clear away debris, and annual checks for damage. 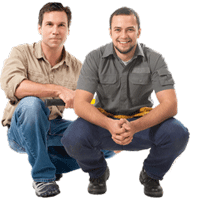 Service life can easily exceed 50 years, though most manufacturers’ warranties will guarantee it for 25 to 50 years. If you feel like concrete is popping up in applications all over the home, you’re not alone. Once used for slabs and driveways, concrete is now a sought-after roofing choice. A newer product, concrete tile is quickly becoming one of the top roofing materials on the market today. Capable of mimicking wood shakes, slate, clay and other high-end roofs, concrete tile is a highly versatile option. Also rated for lifespan of up to a century, concrete is as durable and long-lived as clay tile. However, there are no structural risks associated with clay’s excessive weight. Concrete tiles are a low-maintenance option, impervious to rot, water damage, fire or insect activity. All this roof generally requires is an occasional hosing to remove dirt or collected debris. Energy efficiency may vary depending on the coatings used during the manufacturing process. Still, any concrete roof will be more efficient than asphalt. The most common drawback cited by homeowners who opted for the earliest versions of concrete roofs were breakage, spalling and color changing. 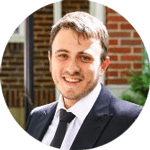 Fortunately, recent improvements in the technology have largely eliminated these issues. 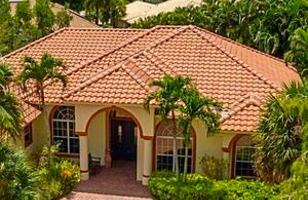 You can have it installed for 30-50% off the total price of clay tile. Thus, you can expect to spend an average of $6-10 / sq.ft. You might long for the classic look of slate or clay tile, but that doesn’t necessarily mean it’s within your budget. This is where products like stone-coated steel shingles can really save the day. Offering a high-end aesthetic at a substantially lower price, stone-coated steel is one of the most popular options on the market today. Well-suited to a variety of climates, it is rated for wind resistance up to 120 miles per hour, rapid freeze and thaw cycles and uplifting winds. It’s also resistant to moisture, will not crack, split, rot or warp. You’ll find limited lifetime warranties from most stone-coated steel roofing manufacturers, with some variation among brands. Exhibitions by manufacturers have indicated that a stone-coated steel roof is more energy-efficient than standard, white asphalt shingles. These tests show simulated attic spaces beneath a steel roof remained cooler than the asphalt side, due to not only its natural qualities, but also installation methods which promote airflow. In most cases, maintenance will consist primarily of hosing off debris or collected dirt. Exposed fasteners should be checked for rust or damage over time. Otherwise, it’s an exceedingly low-maintenance product. When it comes to cost, you can expect to pay $8-9 / sq.ft. You will spend 25-35% more if you live in an area with a high standard of living, as compared to regions with a more modest income distribution. Being a relatively new product, most of the information on stone-coated steel comes from lab testing and simulations. Because the panels aren’t interlocking, and are instead overlapped for installation, moisture can get through the barrier to cause problems in some cases. You may also have trouble finding a contractor who knows how to install them properly, which can contribute to the potential for moisture penetration. If you’re looking to add a touch of tradition to your home, wood shakes or shingles are a common choice. 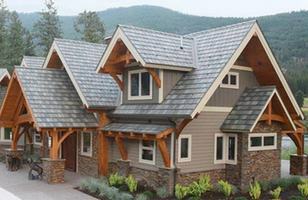 The most sought-after shake and shingle products are made from redwood, cypress, pine or western red cedar. You will typically find them on bungalows, cottages and Cape Cod-style homes, but they are versatile enough to work with a variety of other styles as well. Wood shakes and shingles are a bit more fragile than other popular roofs. They will need to be treated regularly to prevent water damage, mold growth and insect colonization. Therefore, their longevity will depend largely upon the level of maintenance you’re able to invest and the weather conditions in your region. Warranties tend to be limited. They are against defects in manufacturing for up to fifty years. With proper maintenance, though, wood shingles and shakes can last for up to thirty years, which is longer than the average lifespan of asphalt. They also offer higher energy efficiency ratings than traditional shingles. 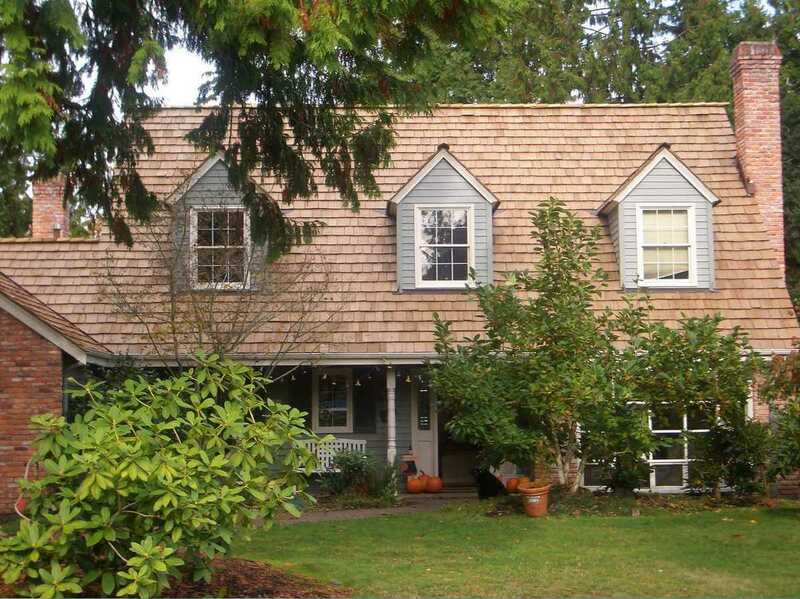 Shakes are more expensive than cedar shingles, often costing 30-50% more. You can expect to pay $4-7 /sq.ft. for shingles, and $6-9 /s.ft. for the same size and complexity shakes. Are you a traditionalist who longs for the warm charm of years gone by? Maybe you are a nature-lover who strives for sustainability in your home improvement projects. Either way, thatch roofing is enjoying a bit of a resurgence among homeowners and may be the right option for you. By and large, a thatched roof can most commonly be found on cottage and rustic homes. You aren’t likely to see it on a French Revival, but its Old World aesthetic can be perfect for the right house. 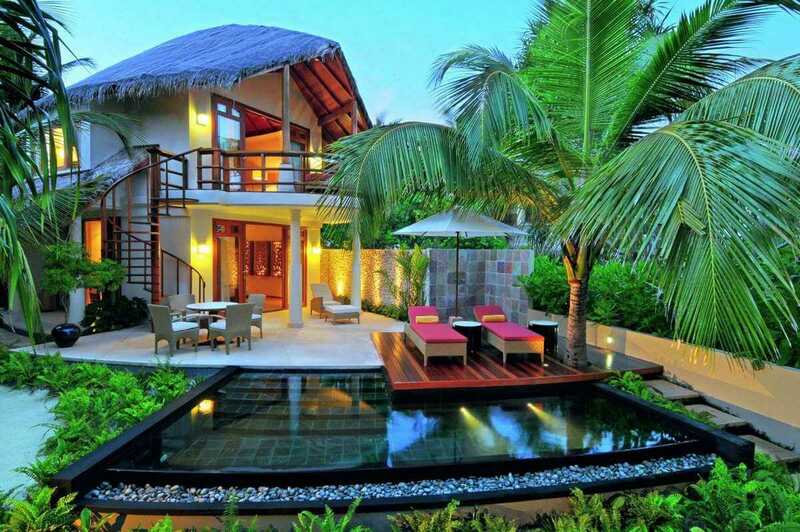 Depending on what you use to make a thatched roof, it can be very durable. Water reeds can last up to 65 years, while long straw will usually last for up to 25. These can work well in a variety of climates. Warranties will almost always come directly from the installation specialist, as this is a a very unique material, which isn’t mass produced. Naturally insulating, it will help your home retain heat in winter and hold cooled air in summer. Keep in mind that maintenance is also going to be specialized. You’ll need to make sure the ridge cap is inspected regularly to maintain the integrity of the roof, and that you stay on top of special fire prevention tasks. Most of the drawbacks are related to the fact that this is a very niche product. You’ll have to work with a specialty craftsman, not a regular contractor. They can be difficult to find, and may be expensive because the process of installation is very labor intensive. Pests can easily take up residence too, and moisture can be an ongoing issue. Thatched roofs are rare, which means that there are not many professional contractors who know how to properly install them (especially here in the US). As a result, the cost is high: an average of $8.60-13.50 /sq.ft. installed. If you have an old flat roof, you already know how much of a challenge it can be to find a viable replacement option. This is where EPDM rubber can be a blessing; it’s a budget-friendly single ply membrane. Widely used with great results for more than four decades, it offers a proven track record for durability and protection. The projected life span for most membranes is about 8-12 years, though this can vary depending on the skill and experience of the installer. Resistant to heat and extreme weather, rubber also holds up well to foot traffic. You’ll usually receive the warranty from the pro, though the membrane itself may be warrantied against defect by the manufacturer. If sustainability is a concern, keep in mind that rubber is not recyclable and doesn’t typically offer high energy efficiency ratings. An EPDM membrane is the most economical flat roof. On average, you can expect to spend $5.50-6.50 installed. Maintenance requires special attention to the adhesive used around edges and seams, as this adhesive tends to fail before the covering itself, allowing moisture to seep through. However, EPDM is resistant to puncture, poor weather and impact. Other problems you can encounter will be related to the skill of the roofer. Because installation doesn’t require special equipment, it’s not uncommon for contractors with limited experience to install EPDM. You can avoid many problems associated with rubber by working with an experienced pro. PVC is another option you’ll want to consider carefully if you have a home with a flat roof. More modern than EPMD rubber, a PVC roof offers many benefits. The unique design of a PVC membrane boasts hot air welded seams, which makes it completely impervious to leaks. It is also completely waterproof and highly UV resistant. This makes it an ideal choice for areas with hot summers, as well as heavy rainfall. Warranties vary by manufacturer, but you will be looking at industry averages of 25 years for commercial applications, and lifetime warranties for residential use. Because PVC can reflect up to 90% of solar heat, it’s a highly energy efficient choice for your home. Some manufacturers project savings of at least 20%. PVC is Energy Star Rated and is considered one the few truly energy efficient materials. It is also one of the few roofs that can actually be recycled at the end of its service life, and many membranes contain at least 25% recycled content. PVC installation requires specialized equipment. This means the only contractors you will find installing it will be highly experienced and, as such, quite expensive. You can expect to pay $6.50-7.50 / sq. ft. . Designed to be less expensive that PVC roofing, but with better durability and energy efficiency ratings than EPDM rubber, TPO is quickly becoming the most popular flat roof. Any home with a flat roof is a good candidate for TPO application, which makes up the fastest-growing segment of the single-ply roofing industry in the United States. A TPO roof boasts a number of benefits, such as leak-free service life due to hot air welded seams (similar to PVC), high energy efficiency ratings (especially if you choose white color), high resistance to impact damage, tearing or punctures. TPO membranes are available in two different thicknesses, with thicker ones offering better resistance to inclement weather. Largely maintenance-free for years, washing to remove debris or dirt may be the only care it needs. It is priced very competitively. Expect to pay $6.00-7.00 / sq. ft.. 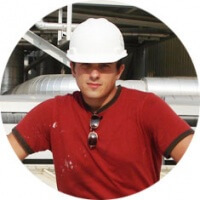 Your final cost will depend on membrane thickness and complexity of installation. TPO certainly has its drawbacks. The relatively short market time means that long-term performance has yet to be truly established. It is known that this roof can weather more rapidly when it’s exposed to very high temperature loads. If you live in the Southern states, for instance, TPO may not last as long as it would in less harsh climates. You should expect warranties to cover terms of 10, 15 or sometimes 20 years. Modified bitumen is made up of polymers, fabric fibers and sometimes glass fibers. It is manufactured in sheets. Mod bit is relatively low maintenance, resists water penetration and is able to withstand a wide range of temperatures. Consequently, this is a good choice in four-season climates with a wide variety of weather conditions. You should expect to find warranties ranging from 5 all the way up to 20 years. The most common complaint about modified bitumen is the high cost. Because it’s installed in multiple layers, it’s more expensive than a single-ply option. Also, composition standards are minimal enough that not all products are equally good quality. On average, you will spend $5.50-6.50 / sq.ft..
I’m glad you mentioned that clay tires are resistant to weather and can last up to a hundred years. My husband and I are trying to choose a material for our new roof. I love the way clay tiles look, so I’m really happy to hear they’re durable as well! I like how you talked about architectural products being as versatile as standard ones. Next time we do our roof, I was thinking of using this different style of shingle to spruce up the outside. Thank you for the information about how they have higher durability ratings and stronger aesthetic appeal that sets them apart. Hardwood also can help better with roofing. Opting for sustainable hardwood solution can help you achieve the best roofing solutions. Thanks for the information about getting a new roofing material. I like the sound of the architectural shingles. It’s great that they last longer and look nicer than normal shingles, or the ones we have now. Like to see what colors are available with the metal roof, bob? Thanks for the information on different roofing materials. I love the look of clay tiles, with the romantic look that you mentioned. Our asphalt shingles are great, but they are wearing out. I love the idea of replacing them with clay! You have some helpful information here about roofing materials. Personally, I think the metal roof sounds like the best option. Since they can look classic but still have modern durability, why would you pick anything else? 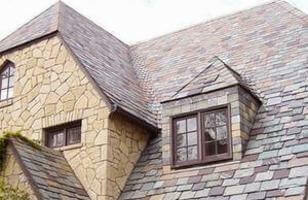 I like what this article mentions about asphalt shingles. Its nice that there are so many color and design options with shingles. I’ll have to ask around to see how they work for people in my area. Thanks for the post!